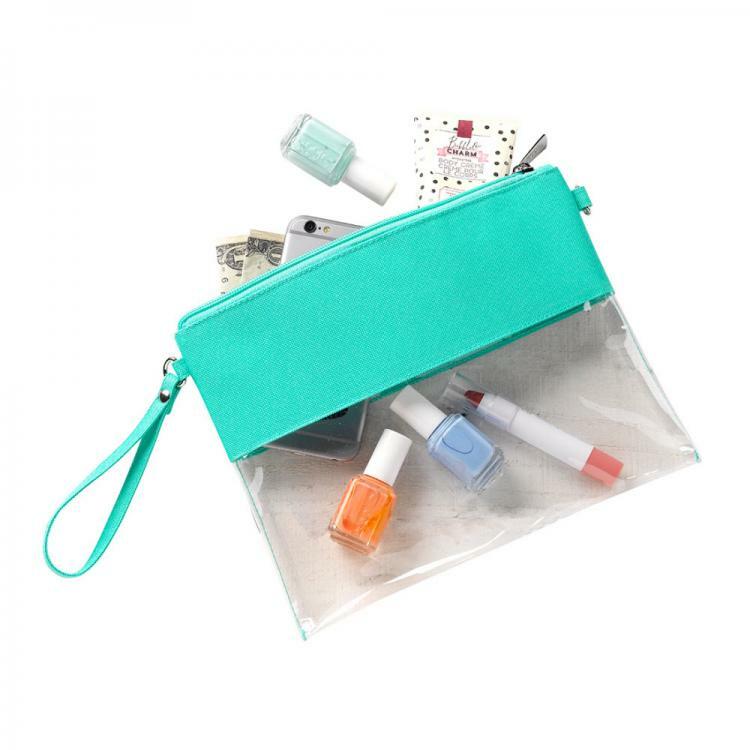 Pretty mint green solution to boring clear bag policies! 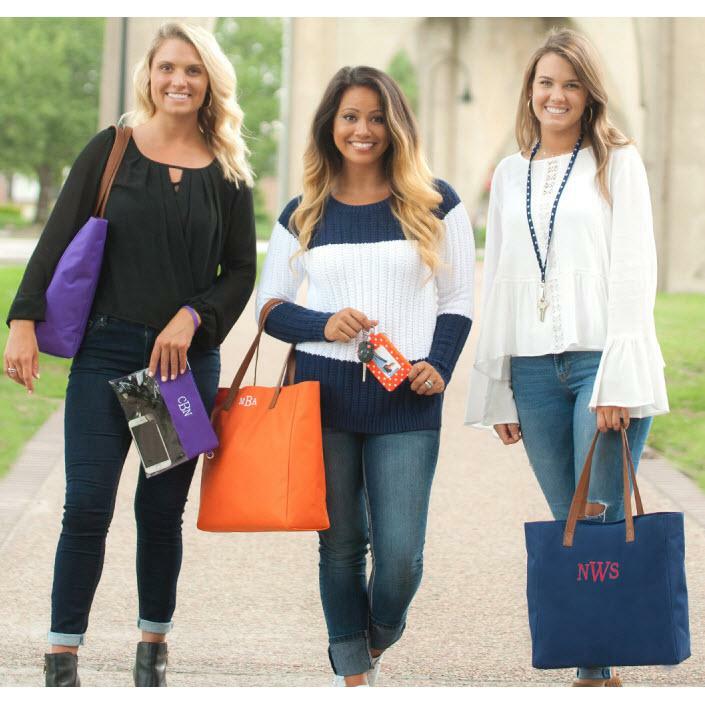 Our cute bag meets requirements for stadiums and other entertainment venues with a fun attitude. Security and clear bag policies are no opponent for our bag. This bag earns its keep pulling triple duty as a zip pouch, wristlet, and crossbody purse. 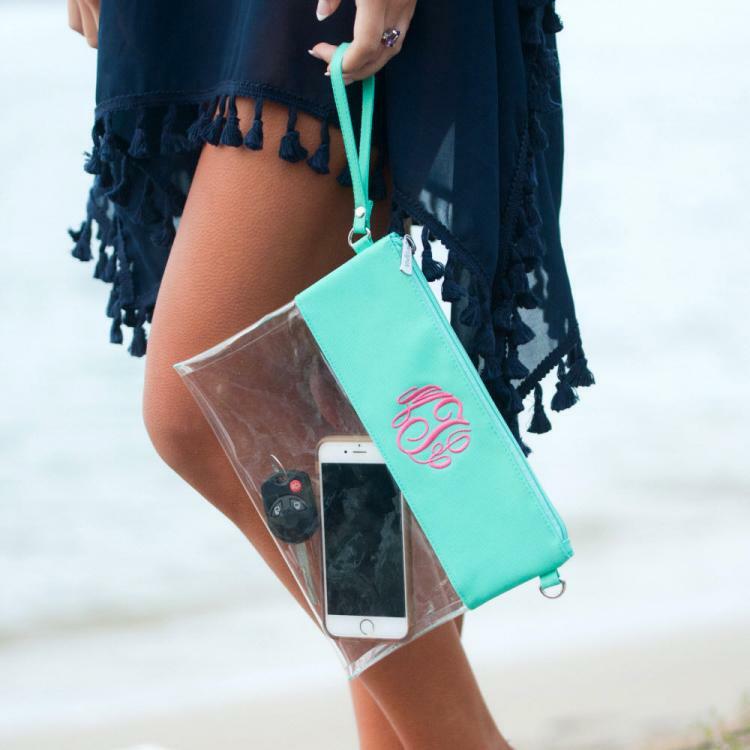 Clearing bag checks and finding what you need is easy with this clear bodied bag. You'll love the versatility of this bag and won't leave home without it. 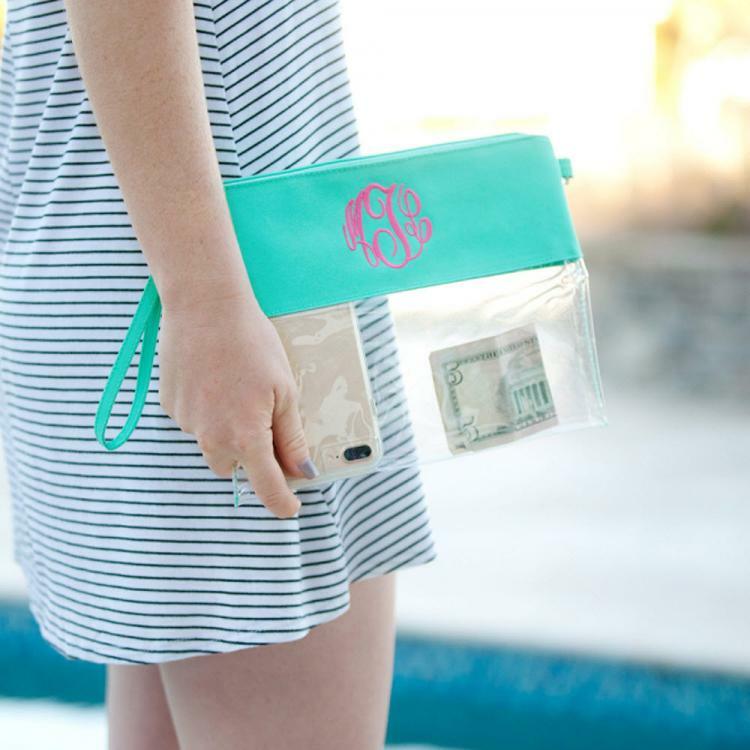 Add your favorite team's name, your name, your monogram, or a fun phrase to make this the ultimate accessory.